An assistant to a TV producer, eager to stay off his bad side, promises to convince her former professor, a famous but reclusive academic, to appear on their show, which helps locate long-lost persons. Who does grey-haired Professor Yun Suk-Young want to see agin more than anything? The answer to that question lies decades in the past. 1969 was a tumultuous year the world over, and South Korea was no exception. President Park Chung-Hee’s iron-fisted dictatorship has provoked a backlash among angry students, and trouble is brewing. Suk-Yong and his comrades decide that Seoul is getting too tense, and embark on a summer retreat in the countryside, where they will help bring a rural village up to date with the modern world. But Suk-Young discovers pretty Seo Jung-In, the only local girl who shows no interest in the strikingly handsome student from a well-to-do family –- and that, of course, means he’s soon falling head over heels for her. 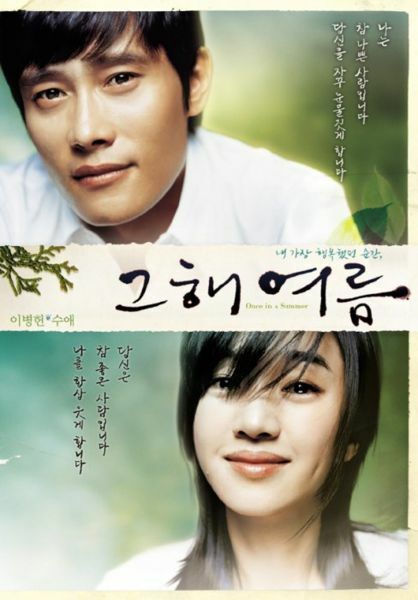 Their bumpy courtship, however, is threatened by dark secrets that Jung-in hides about her family and their history in the village, secrets that will haunt the pair as the volatile political climate catches up with them.